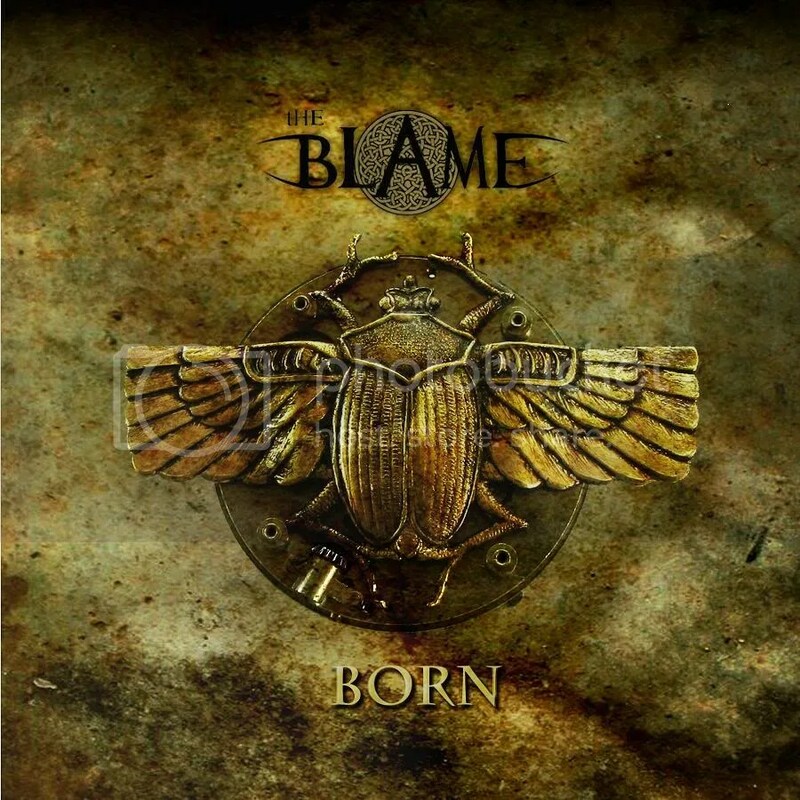 Born is the debut album from Istanbul’s the Blame. The band has a great assortment of influences such as Iron Maiden, Dio, Black Sabbath, Rush, Edguy, Rage, Testament and Nevermore. As such, this album is kind of a mash-up of heavy/thrash/melodic/progressive metal. Lead vocalist Enver sings in a few different styles on the album. On “Guiding Light” he comes across as what the typical modern metal vocalist sounds like but on “The Scarab” he comes across as Bruce Dickinson or Edguy’s Tobias Sammet and then goes on to employ some growling metal vocals in the very same song! It’s the fast & furious thrashers such as “Beyond the Wind” where the band really displays their powers though. The entire band is great and Berca’s drumming in exceptional. It’s in these fast pace environments that Enver’s vocals really shine best as well when he hits those higher notes. “Exile” is a great instrumental that brings to mind ’80s Metallica and this band is worth checking out for that song alone (no offense to Enver!). The album closes with the thrasher “Made of Stone” which again shows off the Maiden influence in terms of sound & vocals (even if there is still some more growling thrown in). Born is a solid debut from these guys. Not a knockout punch but there are some gems to be found here and the band definitely has a future that has me thinking they might be better off focusing on the Maiden & thrash influence rather than bands like Rush & Nevermore. Of course, progressive metal has never really been my thing in general. I’m surprised these guys aren’t signed because they are a band that I think could easily fit on the Metal Blade label. If you’re interested in checking this album out, you can head on over to the band’s website and download it for free (and make a donation to the band as you do it, if you’re feeling generous).